Can someone post a picture or 2 of Wound Stripes? I heard that wound sripes were brass and were worn on the sleeve. Not sure if it is true. Re: Can someone post a picture or 2 of Wound Stripes? 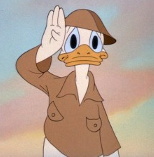 See this site's forum on WWII uniforms ---- "battledress wanted". 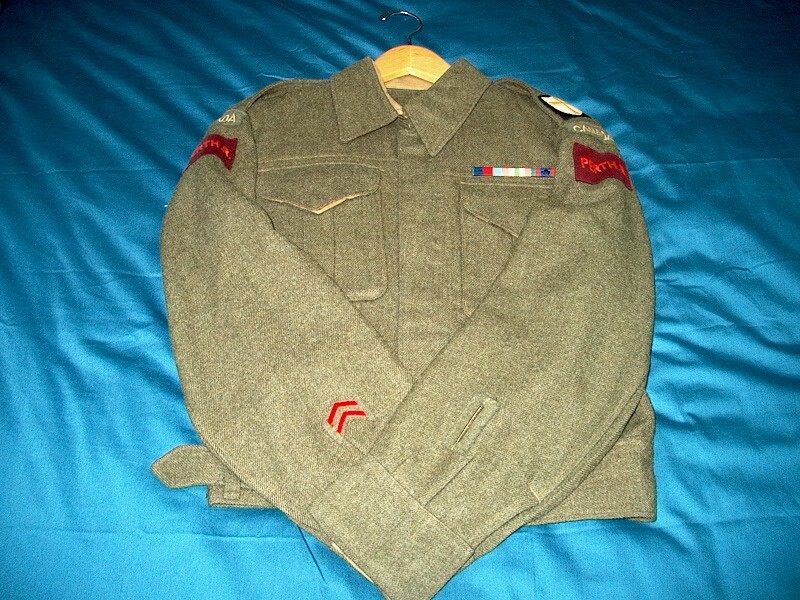 A collector (Michael R.) posted photos of an Essex Scottish battledress in his collection with two wound stripes clearly visible. As requested from my collection. 48th Highlanders of Canada 1 metal wound stripe. Queen's Own Rifles of Canada 1 cloth wound stripe. Queen's Own Rifles of Canada 2 metal wound stripes. Lincoln and Welland Regiment 1 metal wound stripe. Perth Regiment 1 cloth wound stripe. Now to find some. I can see where they werre removed from my Seaforth battledress. Couple of holes so I think they were brass. Brass type of wound stripe has a metal backing plate. I have one on original BD blouse of CANLOAN Lieut Jim Erskine of 2 South Staffords (airborne glider troops) who was wounded at the Battle of Arnhem in September 1944. I have the WWII-1965 Seaforth history by Dr. Reg Roy. Have you a name for your Seaforth blouse? I can look him up for you. I have also just retired as Curator of The Seaforth Highglanders of Canada Museum (which I started in 1972). Colin. 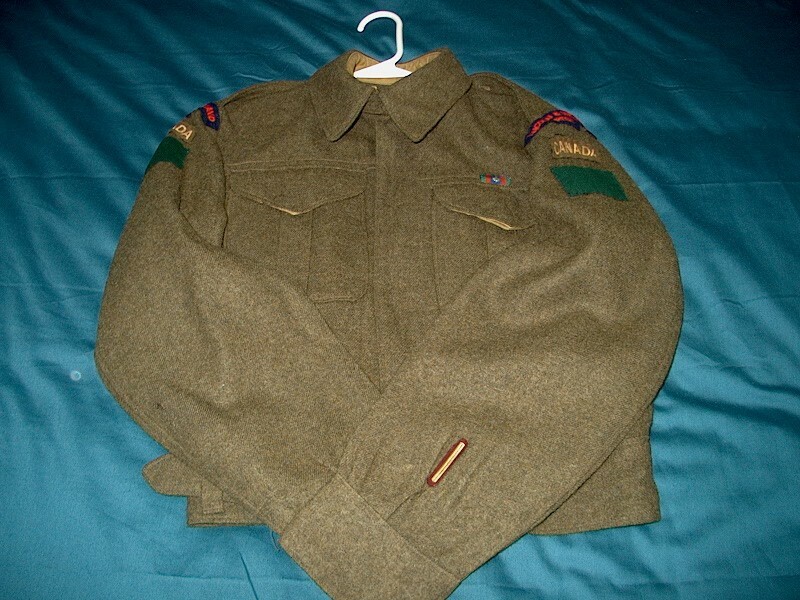 How about a photo of the CANLOAN battledress. Thanks. Mike. Just seeing this topic now. Mike, you have a good collection of uniforms there.